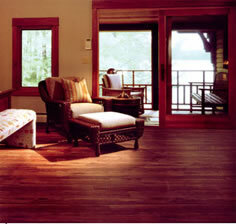 Eagle Hardwood Floors has been in business for over 5 years. We specialize in hardwood flooring installation, refinishing, and sanding. We also specialize in repairing and patching hardwood floors that have been damaged. At Eagle Hardwood Floors, we work hard to keep our commitments and to give you the best hardwood floor at a fair price. We are so confident in our quality craftsmanship that we offer you 100% money back guaranteed. Call us now to get a free consultation and to receive a coupon of $300 off this Summer.